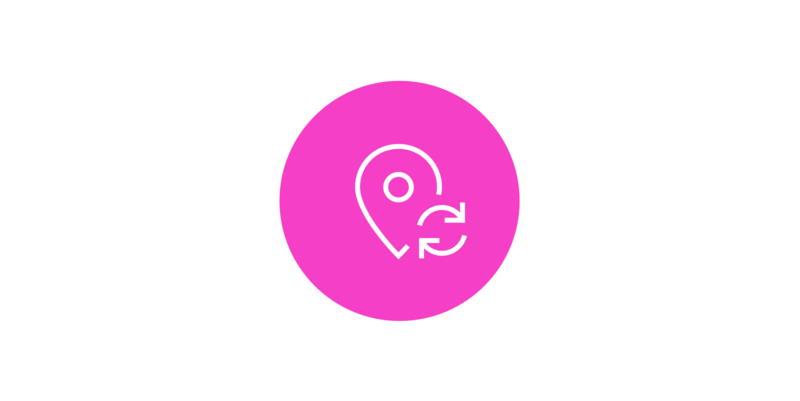 In September, we announced our first geofence integration, allowing you to sync geofences to Radar from Yext. 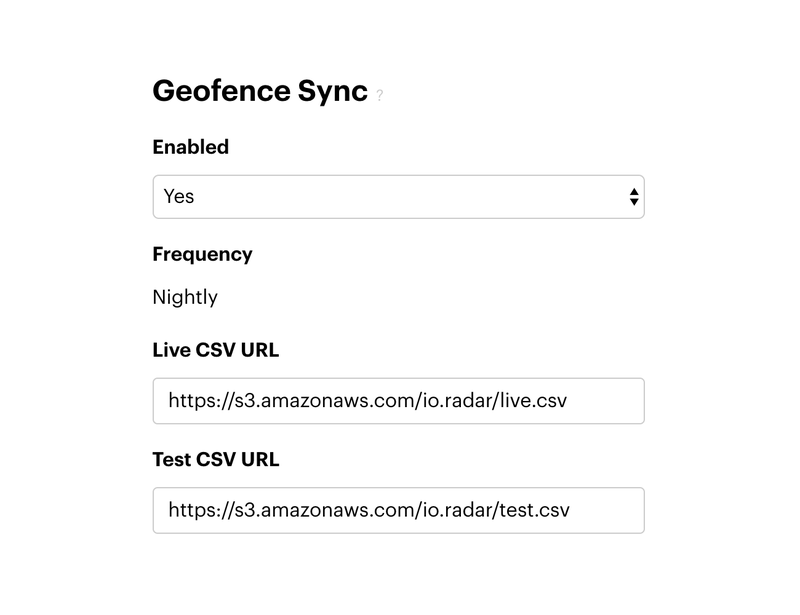 Today, we're introducing geofence sync, allowing you to automatically sync geofences to Radar nightly from any source. To use geofence sync, simply enter URLs of geofence CSVs. These URLs might point to static files on AWS S3 or a dynamic endpoint on your server. The geofence sync CSV format is the same as the geofence import CSV format. That's it! Radar will automatically sync geofences nightly from these URLs. Enterprise customers can start using geofence sync today. See the geofence sync documentation.